Check out our latest newsletter here! This entry was posted in Uncategorized on September 23, 2015 by admin. Herb Farmers Sued by Shire City Herbals! Check out the short video about the issue on the Indiegogo page! 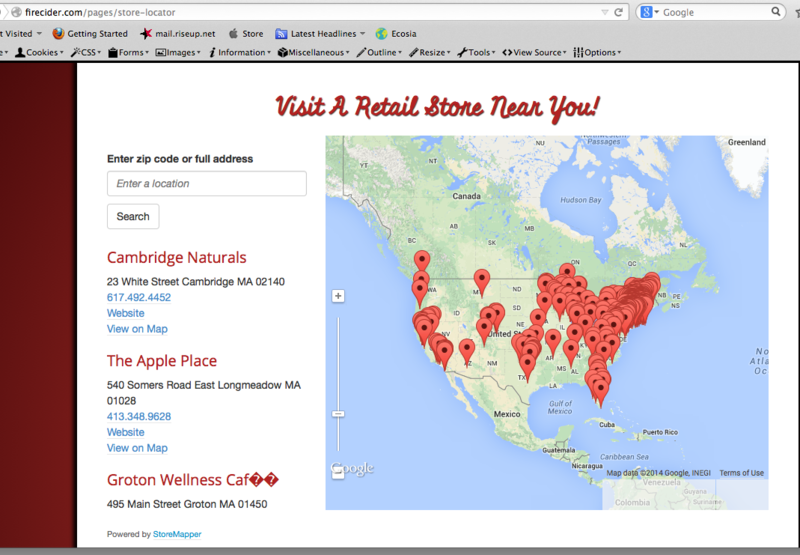 Three small business owners who are part of a national grassroots movement to try to cancel the trademark on the term ‘fire cider’ are being sued for $100,000 in damages by the holder of the trademark, Massachusetts-based herbal company Shire City Herbals. The new lawsuit is Shire City Herbal’s latest response to a petition filed in June of 2014 with the US Trademark Office to cancel the trademark on the term “Fire Cider, a common product made by many small herbs farms and herbalists. The trademark petition is based on extensive documentation that the term ‘fire cider’ is generic and was in widespread use in commerce for several decades before the trademark was issued. The civil lawsuit filed federal court in Springfield, MA in April against Nicole Telkes of Austin, TX, Mary Blue of Providence, RI and Katheryn Langelier of Union, ME seeks damages of $100,000 for lost business due to the defendants alleged activities. In February of 2014, two months before the lawsuit was filed, Amy Huebner, owner of Shire City Herbal’s publicly stated that the boycott “effectively doubled their business”. Telkes, Blue and Langelier are represented by attorneys from the law firm Verrill Dana in both the trademark petition and the new civil lawsuit. “Words that are the name of a product itself (like “Fire Cider” or “Bloody Mary”) are not trademarks, so others are free to use them to describe or identify their goods. There are mechanisms in place for the public to help the US Patent and Trademark Office correct an error like this when it allows a generic term to be registered. It’s unfortunate that the registrants took the more aggressive step of suing Mary, Nicole and Kathi in federal court just because they are standing up for everyone else. We are honored to work with them to free “Fire Cider” so farmers and others can continue to use it as they always have.” said the defendants lawyer, Rita Heimes. Telkes, Blue and Langelier have more than 40 years of combined experience as herbalists, farmers and educators. In fact, Telkes and Blue originally met volunteering in a post hurricane Katrina health clinic, offering disaster relief support in New Orleans in 2006. Defendant Nicole Telkes explained her reaction to the civil lawsuit as well as her concerns about the Shire City Herbals trademark. “At first I was very shocked and overwhelmed to be sued for $100,000. It’s definitely not something I ever imagined happening to a health practitioner. But, the trademark petition needs to move forward. My biggest concern is that if Shire City Herbals is allowed to ‘own’ the name of a product that they neither created nor named, it sets a dangerous precedent. Certainly, there is a direct threat to the traditions of herbalists, which is why a grassroots movement has sprung up fight for this product. But, what about other the names of other legacy products and the broader implications? Could a chef petition to trademark a popular food product like ‘chicken noodle soup’ or ‘BBQ chicken pizza’ or an architect trademark the ‘hip roof’ and then try to halt commercial sales of long standing, existing products? Freeing fire cider is no longer going to be free. There are multiple costs associated with this effort, including legal fees, website hosting, travel and consultant fees. This lawsuit pushes the Fire Cider 3 legal fees up to $30-$50,000. These herbalists have their businesses at risk to protect our herbal traditions, and they working overtime on their defense, collecting evidence to prove that Fire Cider is generic, all while trying to run small herbal companies!! They need our support. Please consider donating to the Fire Cider 3 legal defense fund. Facebook – Almost 5,000 likes! Twitter – Almost 500 followers! Contact your media connections and share the story. The more press coverage we can get, the better! Tell your friends to sign the petition – there are almost 10,000 signatures at change.org ! 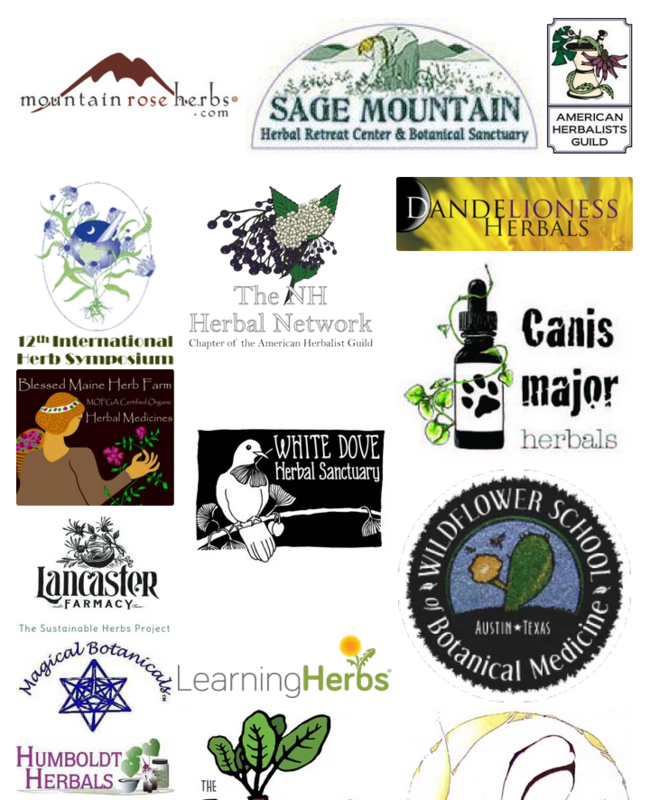 Stand with over 120 herbal businesses on the Traditions not Trademark website against this trademark. View our list of supporters and find out how you can join them! Use your own words and stick to the facts. Check out the free fire cider FAQ page to be fully informed of Trademark not Traditions stance, then form your own opinion and contact them if you feel that this is an important matter. Traditions not Trademarks is demanding that Shire City Herbals drop the lawsuit on the Fire Cider 3, and revoke the Fire Cider trademark. Contact your local stores that carry Shire City Herbals Fire Cider. Their label has a pirate on it, which is very fitting. They are pirating herbal traditions!! Find out more about the boycott on our site. SUPPORT small local herbal companies! Buy Fire Cider from a local producer. If it has a pirate on the label, it is trademarked!! Do you have a story about how you first learned about Fire Cider and how you began making it? Did your experience help others? Do you sell it? Send it in a written or video form and we may add you to the site. You can reach us using our contact form or directly via email. Nicole Telkes is a Registered Herbalist with the American Herbalist Guild. After a decade of botanical studies and community organizing, she founded The Wildflower School of Botanical Medicine in Austin Texas. Since 2003, the school has provided on site learning in both in and around Austin focusing on bioregionalism and community herbalism. 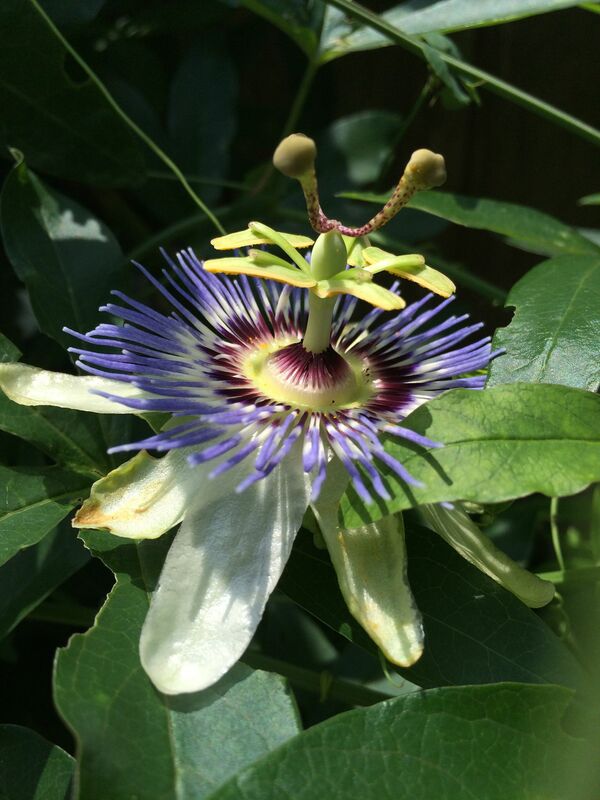 The Wildflower School is one of the most established, and in depth holistic herbal training programs in Texas and the Deep South, serving over 300 students a year. They are part of the United Plant Savers Botanical Sanctuary Network, participating in permaculture and sustainable herb projects with students, and clients. Nicole has been a Practicing Herbalist for 17 years. Nicole is a founding member of Traditions not Trademarks. Mary Blue founded Farmacy Herbs in 2006, which is located in Providence, Rhode Island. Mary has been a practicing herbalist and farmer for 15 years. She was awarded The Northeast Herbal Association Community Herbalist Award in 2008 for her dedication and commitment to the herbal community (northeastherbal.org), and numerous other local awards for community work. She has been featured in Bust magazine, the Providence Journal, Providence Business News, on local TV shows and in numerous other local publications. Mary offers free herbal/ nutritional and hospice support for cancer patients, and offers free herbs, classes and consultations to the homeless and recovery community in Providence, RI. She represented American herbalists when she spoke at the United Nations Council on Women in 2012 and at the USDA Women in Agriculture conference in 2013. She is a founding member of the following community groups: Herbal Aide, The Northeast Community Herbalist Convergence, Providence Recycle a Bike and Traditions not Trademarks. Katheryn Langelier founded Herbal Revolution Farm and Apothecary in 2009 and is located in Union, Maine. Her commercial products include a variety of herbal tonics, elixirs and tea blends. Her workspace features gardens and fields where she organically grows medicinal plants and wild gathers from around the beautiful state of Maine. Katheryn has been learning about plant medicine for more than 20 years, gaining much of her early knowledge from farmer’s she apprenticed for. She has worked with kids and adults in wilderness and farm settings, sharing knowledge about wild edibles, medicinals and sustainable gardening. Herbal Revolution has received multiple awards including: “Best Overall Herbal Product and Product Line” from the American Herbalist Guild and three different awards for the Elderberry Plus Maine Mushroom and Roots Elixir. This entry was posted in Uncategorized on May 26, 2015 by admin. 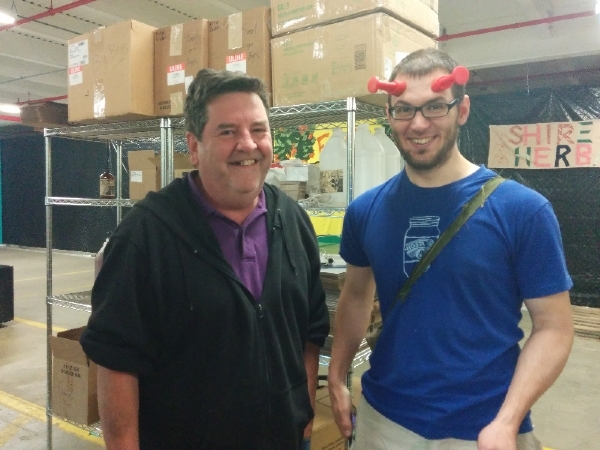 The Free Fire Cider Campaign is now accepting donations! If you’d like to help support our efforts to free the Fire Cider name and cover our legal, website and other costs, you can now go to our Donations page and contribute in any amount. The fight to free Fire Cider isn’t free! This entry was posted in Support on May 21, 2015 by admin. Check out the new section of our website! Over 100 businesses have sent their logos to us to show their support of the Free Fire Cider Campaign. SHIRE CITY HERBALS, DROP THE FIRE CIDER TRADEMARK!! WE STAND TOGETHER ON THIS!! This entry was posted in Community, Resources, Support on April 23, 2015 by admin. Spring Newsletter 2015. Call for evidence!! IT IS TIME TO ACT!!! Please send us your evidence! It is our turn overwhelm the trademark office with proof that the term Fire Cider is generic. We cannot win this without your evidence!!!!! Send us any proof that the term Fire Cider existed before 2012. If it is time stamped, that works better, but not necessary. Hopefully most of you are awakening from the winter hibernation period! We are in the midst of our legal battle, and are looking towards that light at the end of the tunnel. We are still receiving reports that folks are getting letters from Shire City Herbals, and one herbalist received an official “Cease and Desist” letter from SCH lawyers. Until the cancellation proceedings are finished, herbalists don’t have many options if they receive a letter from SCH. Some herbalists are successfully ignoring SCH letters, and some herbalists have changed their labels. It has been brought to our attention that owner of Shire City Herbals, Amy Huebner, has been making claims on Facebook about the Free Fire Cider campaign, accusing the organizers of spreading lies and creating a smear campaign against her business. Check out our FAQ page: freefirecider.com and Rosemary’s article in Spirit of Change: spirit of change article for our full side of the story. If you choose to engage with with any of the owners of Shire City Herbals, please send us a screen shot of the conversation @ freefirecider@gmail.com. 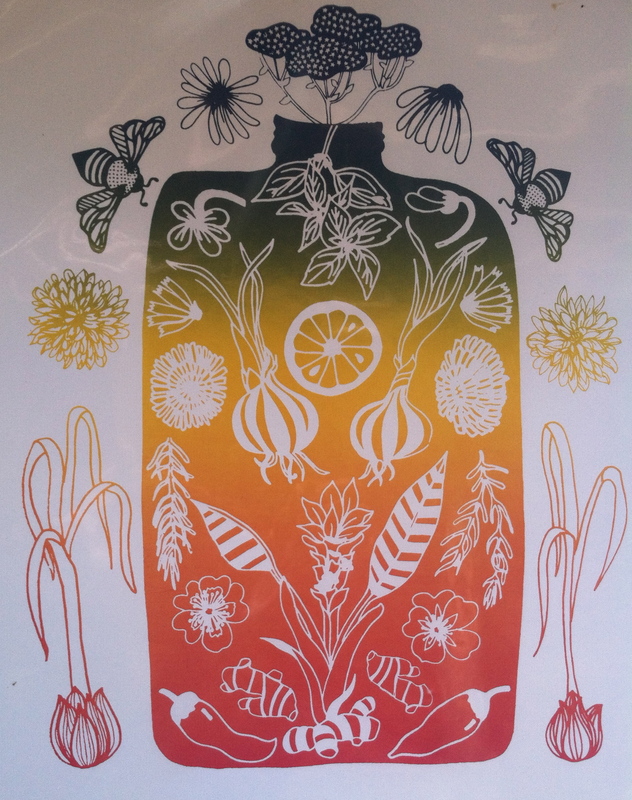 Check out this beautiful Fire Cider print from an artist in Madison, Wisconsin. Lesely Numbers of Patchwork Printshop is selling these beautiful prints online. Alot of people have been asking, ” What type of business is Shire City Herbals?”. We referred to them as a national company because they sell a product nationally. Take a look at the pictures that are posted on the SHC website and see what you think.. Which is it? Do they have a warehouse and specialized industrial equipment? Or do they run their business out of their apartment? Why would they need to hold onto a trademark (especially after a national campaign was launched against them) if they are just working out of their apartment? Why are their no pics of the “apartment” on the website? SCH owners in an industrial kitchen with specialized equipment. 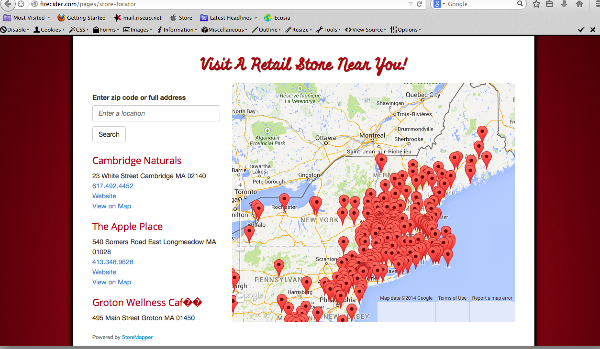 Screen shot from their website of all the stores they sell to. This entry was posted in Uncategorized on March 25, 2015 by admin. This morning’s sunrise was so bright and colorful on the eastern horizon, that it lit a fire in my own heart , warming my core with its molten beauty. It is in the deepening of winter and the cold that has settled solidly around us, that we first begin to notice the earliest stirrings of new life, of days inching towards the light, and the growth that this new year promises. It is such a hopeful time, as a new year begins and we turn once more on the great medicine wheel of time. Like the plants stretching just a little in their frozen winter garments, I, too, feel my spirit stretching, reaching up for the northern lights. Though we’ve not been as outwardly active in our Free Fire Cider campaign, only because we’ve all been so busy catching up on our other projects, we’re as committed as ever. We’ve been working closely with our trademark lawyer and have begun the long process of the cancellation proceedings. We will continue to keep you updated as news develops. 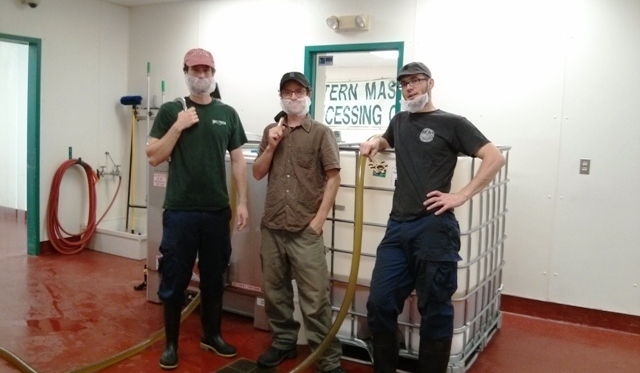 We are coming on the 1 year anniversary of our free fire cider movement! Your ongoing support and help is deeply appreciated. The best way to help is to continue to make our own fire cider and to continue to try to get your local stores to not sell the trademarked brand name, but to sell locally made Fire Cider. We have printed up some beautiful post cards and brochures (artwork donated by Heather Bruntil) that you can either have mailed to you from our office (sage@sagemountain.com) or print your own off our website, freefirecider.com. I’ve been busy in my herbal pantry and have come up with a couple of fabulous new Fire Cider recipes I’m excited to share with you. I was decanting my latest batch of Fire Cider, which was sitting for exactly 4 weeks time. A little shorter than I like to let the herbs and vinegar macerate, but I needed this Fire Cider because there was a rash of flu going around Vermont. It’s not unusual for me to let the herbs sit overly long in the apple cider vinegar and when I do finally strain it, the herbs are quiet ‘spent’ as I offer then to the ‘compost goddess’. But this batch of herbs ~ all that beautiful garlic, horseradish, ginger, onions, cayenne, etc. ~ were beautiful and still so tasty and I couldn’t bring myself to toss them. So instead… I got creative! I invite you to try both of these dee-licious Fire Cider Recipes for a spicy winter treat! Options: add a lemon with peel and/or turmeric to the above recipe. The batch I used to make my first Fire Cider chutney from had lemon w/peel in it, and it added a nice lemony flavor that enhanced the finished product. I’ve made it without the lemon and it was equally as good. So be creative! Step 1: Steep all ingredients raw unpasteurized apple cider vinegar for 4-6 weeks. Step 3: Strain the herbs after 4 -5 weeks.They should still be firm and flavorful. Step 4: Add the herbs to a Cuisinart or blender, and grind coarsely (don’t blend into a smooth past, but only until coarse and crunchy). If too dry, add a little of the Fire Cider Vinegar to the mix. You might wish to add a little more honey and cayenne to taste. My husband got the ‘grunge’ this winter while I was away with my mother on a little holiday to Mexico! My Mother’s 90 and still loves to travel. When I arrived home, Robert had a pretty bad cough, sore throat and a flu that had lodged in his lungs. I have a number of favorite recipes I knew would do the trick, but one that I always fall back on for sore throats is Onion Honey Syrup. Step 1: Slice yellow onions into thin half moons and place in a pot. Cover with honey, and with the lid slightly ajar (just enough to let a little of the steam out) slowly heat the onions and syrup. The heat should be low enough so that honey is warm, but not simmering or boiling. Cook for about 30-40 minutes over low heat, until the onions are very soft and the honey is deeply infused with onion juice. This make s a very tasty syrup that is very effective for deep bronchial coughs. Step 2: You can further enhance by adding garlic with the onion for even stronger syrup. When my son was still little, I use to make this syrup every winter and leave it on the back of the old wood cook stove to keep it warm. It was a favorite medicine of Jason’s, and he was often found with his spoon in that pot licking up the sweet For an Added Punch, add Fire Cider Chutney: The syrup was a little too sweet for Robert. Since I had just finished straining the Fire Cider and making my first batch of Fire Cider Chutney, I decided to try adding some of it to the onion syrup. To make a nicer syrup consistency, I blended the Chutney into a finer paste, and then added the paste to the onion syrup. It was divine!!! Sweet and soothing, with just enough fire and spark to make it elegantly delicious and healing. Do try both these new recipes! Fire Cider isn’t for everyone so be sure to adjust flavors For those who prefer a little less fire and spice in their lives! ….And if I may put in a little political plug for Fire Cider…. Please continue to support Tradition not Trademark and continue advocating for Freeing Fire Cider from its unscrupulous trademark. This entry was posted in Uncategorized on January 22, 2015 by admin. World Fire Cider Making Day! 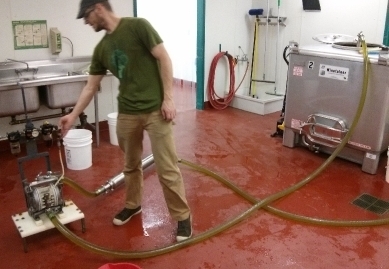 World Fire Cider Making Day is back!! Join us on this special full moon to celebrate our beloved traditional remedy… Fire Cider! On this day of action, please join together and make the remedy with thousands of anti-trademark Fire Cider supporters. Please post pics on social media! Last February, we had 5000 people join together! Lets see if we can beat that. Promote this event and lets get 10000 people to celebrate together! This entry was posted in Uncategorized on December 1, 2014 by admin. 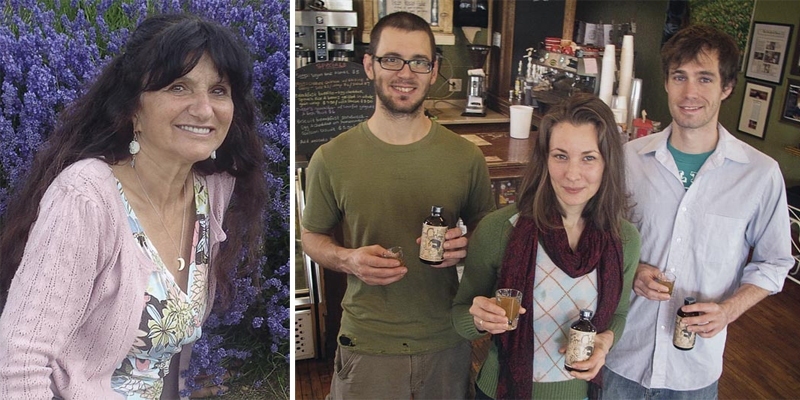 A group of herbalists have filed for the cancellation of the Fire Cider trademark. Since filing, our cases have been consolidated by the United Stated Trademark and Patent Office (USTMPO). WE HAVE ALSO FOUND GREAT PRO-BONO LAWYERS! They are gathering evidence and advising us how to move forward. This process could take up to 1.5 years to complete! So bear with us, we probably won’t have any legal updates for a long time! Your continued support to help free Fire Cider from its trademark is hugely appreciated. All together, we are making a difference! Please continue to support the Free Fire Cider movement by making your own Fire Cider, and by supporting the national boycott. If there are stores in your area selling the Shire City brand of Fire Cider, please let them know about the boycott (there is material available on this website that explains the issue). If you’d like Free Fire Cider brochures and postcards, contact Sage Mountain and we’ll mail them to you: sage@sagemountain.com. Or please print the flyer from this website and post in your area. Thank you for joining us in this grass roots movement to protect our traditional herbal legacy products from trademarking. Check out the local press Fire Cider is getting! If you are an herbalist selling Fire Cider on Etsy, please get in touch with Etsy legal and let them know the trademark is in litigation. The picture below was posted in the Spirit of Change editorial. Rosemary Gladstar on the left/ Shire City Herbals on the Right. This entry was posted in Uncategorized on October 23, 2014 by admin. We received a wonderful note from a fellow herbalist in Brazil! This entry was posted in Uncategorized on July 16, 2014 by admin. New Frequently Asked Questions (FAQ’s) on website! We keep hearing some of these questions over and over! Why are herbalists so upset about this trademark? What legal action has been taken against Shire City Herbals? What legal action has been taken against herbalists by Shire City Herbals? Why would they trademark the term “Fire Cider”? What type of business is Shire City Herbals? What happened to the anti-trademark Fire Cider page? What are you trying to accomplish with the boycott? Can I use the term Fire Cider? What is the petition for? This entry was posted in Uncategorized on July 12, 2014 by admin.